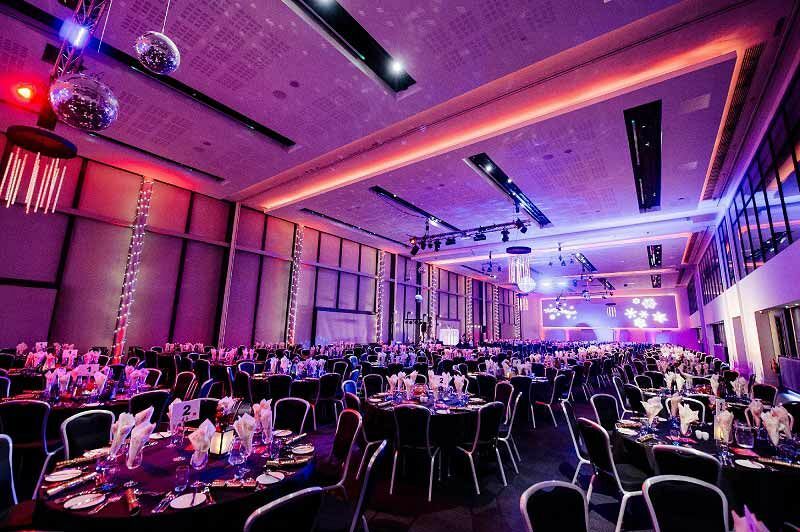 This fantastic venue is located with easy access to Manchester’s extensive Metrolink network, being a short two minute stroll from Old Trafford Metrolink Stop which provides easy access to the City Centre and beyond. I.D. will be required when purchasing alcoholic drinks, we operate a strict Challenge 25 policy. Ladies/Gents - Dress to impress! No trainers, sportswear or baseball caps. 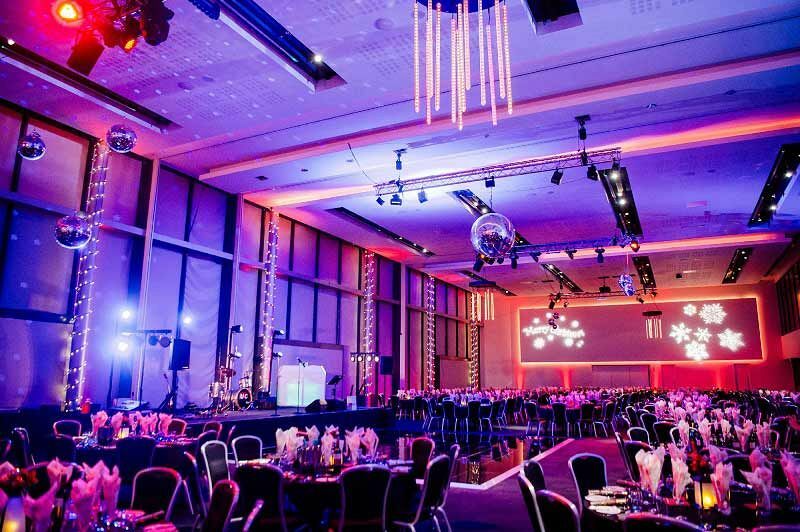 Immerse yourselves this festive season with one of Manchester's biggest and best Christmas party nights at this striking and versatile event space that's perfect for corporates and other groups. With this excellent shared package, you'll let your hair down alongside other party-goers in a sparkling fashion, ready to celebrate the best time of the year! The entertainment kick-starts on arrival as you enjoy a glass of chilled fizz, whilst listening to the sounds of live acoustic music from the amazing eight-piece band, ‘Under The Covers’ in the venue's exclusive Mezzanine Bar. 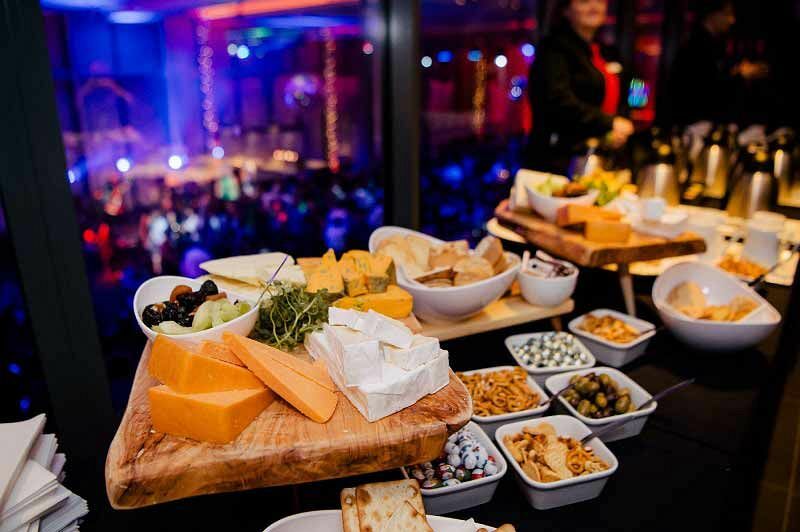 Once you’ve enjoyed your arrival drink and the stunning acoustic performance, it’s time for the main event to begin, where a mouth-watering three-course meal awaits! As the evening continues, you’ll be able to enjoy an incredible set from ‘Under The Covers’, who will take to the stage and get the crowd going! Featuring two new vocalists that have performed with the likes of Bruno Mars and Example, you’ll know that you’ll be in good hands with these guys for the evening. After the final performance from the band, the party vibes keep on coming with live DJ entertainment from the brilliant Paul Atkinson, who will be playing all the latest and greatest floor fillers. It’s time to lose those inhibitions and party your way into the early hours! Guests will also be able to enjoy the brilliant selfies pods where they’ll be able to strike a pose and capture it on camera, along with some fantastic interactive entertainment. Looking to make a night out of it? There’s even a four-star Hilton hotel on site, making this venue a party-goer’s dream! 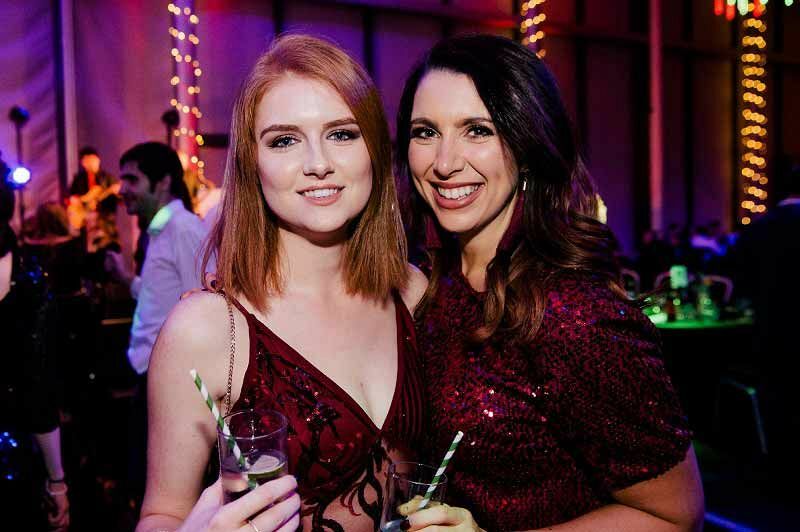 Send an enquiry through today and experience a truly unforgettable shared party night at this iconic venue in Manchester!